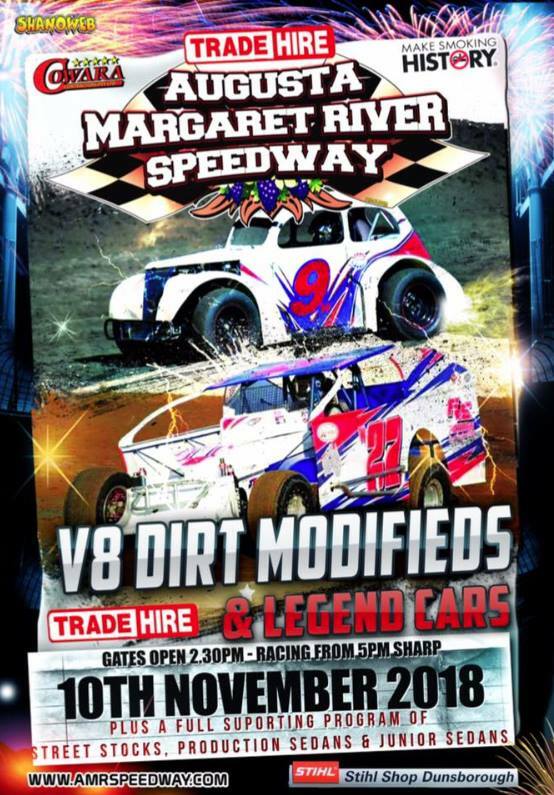 The Mount Barker TQ and Hot Rod Club was formed in 1965, For a nucleus of seven men who gathered at Les Gormans place to form the club, it was a hard task to eventually hold their first meeting in November 1965. Those early days comprised of around a dozen TQ's now formula 500's and a large selection of Hot Rods, The initial meetings were on Saturday's, in later years the race meetings was transfered to sunday making it easier for those who worked on Saturday mornings to get to race meetings. The first track was built in an old gravel pit on the side of a hill, it had a S bend in the middle and the car raced in a clock wise direction. In 1975 it was decided to upgrade the track, no longer did the club want a kidney shaped track, They wanted a proper Speedway and so they sent a delegation to Bunbury to inspect the track over there. In December of 1976 Mount Barker opened its new track, For years the club prospered and held many big meetings, its open and closed annual championships were always popular with both competitor and spectator. 1966 - Russell Pearson in the 48 series Holden climbs over the front wheel of Noel Smiths Red Barron. Photo: Noel Smith collection. Laurie was a regular at many tracks other than Claremont, Country tracks such as Mount Barker, Bunbury, Collie, and others. 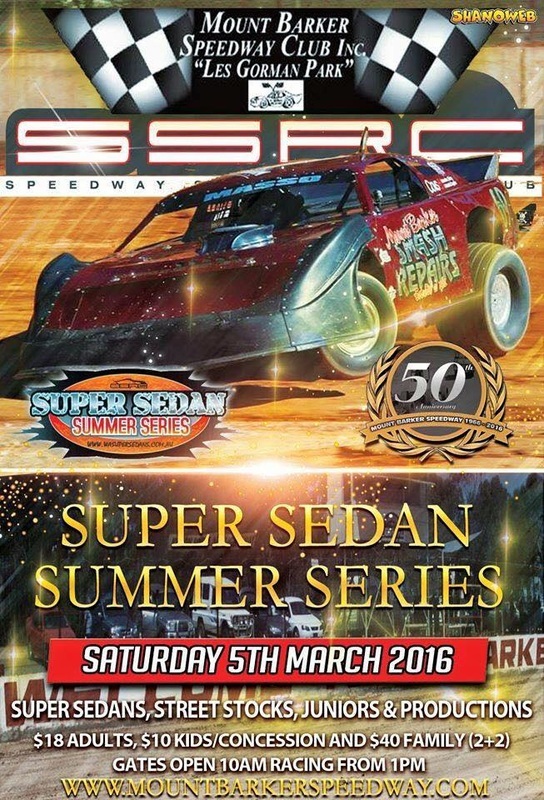 Mount Barker Speedway hosted the West Australian Division 2 State Championship on the 4th of November 1979, supporting the feature event was a championship for the Standard Saloons and a full support program. 1979 - Merv Robinson from Kojonup leads John Singleton, both in Mustangs, unknown Torana Photo: unknown. 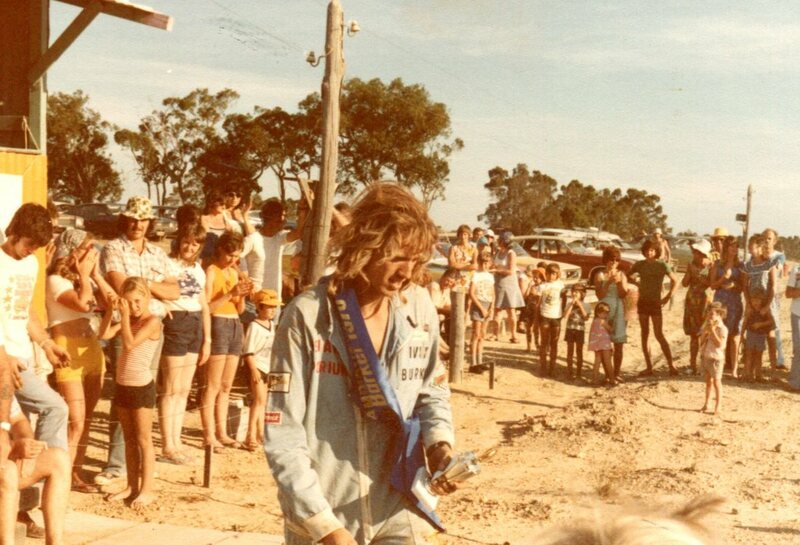 1981 - Ivan Burke from the Bunbury Car Club takes out the blue ribbon event at Mount Barker Speedway in the Mini. Photo: Ivan Burke collection. 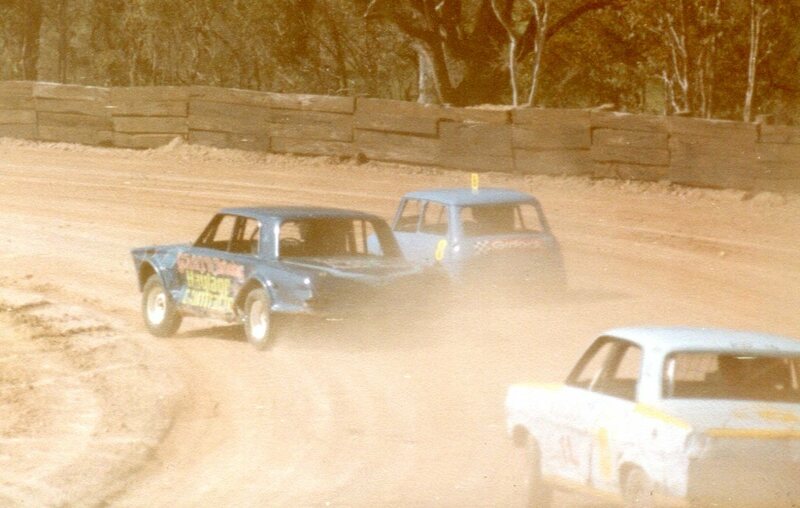 1981 - Barry Thomson from the Bunbury Car Club is fully committed into the turn, in his number 100 AP6 Valiant while Ivan Burke in the Mini is snapping at his heels. Photo: Ivan Burke collection. 1981 - The two Bunbury champions going at it as usual, Barry Thomson in the Valiant an Ivan Burke in his trusty Mini. Photo: Ivan Burke collection. Les was a foundation member who held the post of President for four seasons, Les was later to awarded Life Membership. John provided trucks and tractors in those early years so the club could prepare the track, John was a long time member of the club and also received Life Membership.